This past week on U.S. National Public Radio (NPR) the Morning Edition journalists have explored religion and spirituality in the series Losing Our Religion. Today if we take time to listen to even a small portion of these broadcasts we may gauge our own awareness – and gratitude – for God’s presence in our lives. As I listened to the broadcast, the following Bible verse kept coming to mind. The verse depicts a departure from faith in Christ! I am struggling with this because the falling away described in the broadcast is not a falling from Christ but a rejection of religion, not just of the Christian faith but of all religion. Perhaps it is a good thing in that the hypocritical nature and apostasy of the established religions is not being ingrained into the youth of our nation. Then there is still time and a way to reach them with the true Gospel message. This I know to be true, if our sons and daughters are not coming to faith in Christ, we, the Church, have failed them. I believe that one who has been born again by the Spirit of God would be so led by God to bring his children into the Faith in God. That be the case then, there must be many who are members of the church, baptized by water only and hold a false profession of faith. Their children turn from the truth through false prophets who come in Christ’s name, but are preaching a false gospel. There are always moments that remain with you throughout your life. At the time they may not seem as God given but, the lesson learned becomes impressed into more than just your mind, they become indwelling. That critical event or word that changes your life and your lifestyle. My father and mother were God fearing people, most people would call them religious. There were practices that needed to be adhered to. Go to Church, read the Bible, tithe, say grace before meals, dress appropriate, don’t shop on Sunday. Looking back, I see now it was more than only the ritual. I was raised in Church, baptized, confirmed, the whole 9 yards ritual. At the time, it didn’t seem to stick. Basically I was the typical young man. I rebelled, dropped out. I still believed there was a God and could ‘argue’ religion with the best of atheists. Moving ahead several years. My 12 year old daughter one day asked, “Why don’t we go to church?”. Click, “a moment”. The following Sunday, we were off to church and although there were two other churches closer, we were led to one particular Church. I know now that it was God’s doing. The whole family were able to fit in perfectly. We were more than welcomed, they made us feel we belonged. 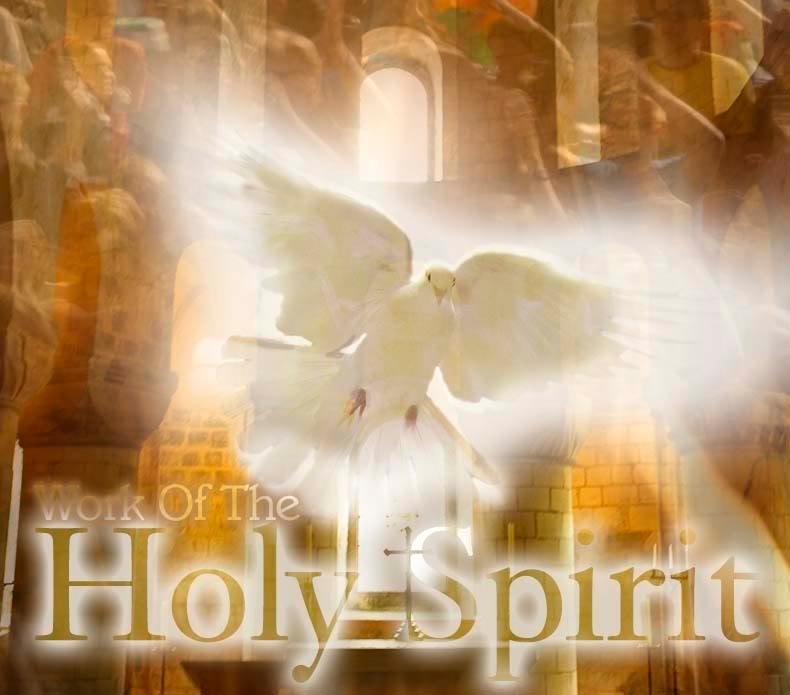 It was Pentecost Sunday 1984, that the infilling of the Holy Spirit came upon me. When the preacher laid his hands on me, I knew, the preacher knew, the whole congregation seemed to know – for me, this was “a moment”. A couple whom, I realize now, had taken me and my family on as their prayer mission, at the very moment, jumped up, praised the Lord with a loud “Hallelujah”, and scrambled over to hug us all. Prayer and praise took on a whole different meaning, -became a reality. My life changed, my family’s lives changed. Except for one thing – my conduct outside of Church and family. My only comeback was, “I am always in Church”. Upon those words coming out of my mouth, I knew. Another Holy Spirit “moment”. Every thing I do reflects my relationship with Christ. Everything I say is a testament to Christ in my life. I am Christian – I am Christ’s. I am no longer my own. I am an agent of God’s love and a vessel of His peace. I am in “Church” always. It is 9:00 AM Christmas morning, been up for 2 hours, fed the dog and let him out for a run, made a pot of coffee, have a short prayer time, not that much different than any other morning. Other than exchange gifts with the wife (a new pair of slippers). I suppose that is what Christmas day comes to when your retired and the children and grandchildren live an hour or so away. We have always been a boxing day get-to-gether family ever since our children were very young. It always seemed easier to let the kids have Christmas at home and ware off some of the new toy excitement before venturing out for an hours drive to visit Granny, whos house was always full with the children of my brother and sister and their spouses. Some traditions stick. Tomorrow the house will see some activity. I feel compelled to write something witty or thought provoking but, alas, this Christmas morning in our house is just another day. I am wondering what Christmas day is for other people. I recall the busyness of this day. After attending midnight mass and losing two hours of sleep because the kids woke up early. The excitement of children as they discovered new treasure. The constant pickup of strewn wrappings and ribbons. The phone calls to relatives, each child in turn telling granny their Christmas story. The preparation of continuous snacks and then the preparation of the feast. It definitely was a full day, punctuated with happiness, excitement and at the end, a feeling of relief it was over. Oh, no, we have to do it all over again at grannies house tomorrow. Was it all worth the effort? An absolute and positive – YES!! Now its time to make breakfast. This is a time when a lot of the cooler conversation will be about violence and how to combat violence. It has been pointed out that most or all of the perpetrators of mass shootings have been on medication to control their behaviors. Probably is true, I have no way of knowing so with a grain of salt, I’ll take this as fact. Many people want to point the finger at the drugs or the misuse of the drugs as being the cause that made these shooters commit their violent acts. That I have trouble with. Before going any further, I would like to give a link to a lady with a lot of experience with coping with troubled youth and the use of drugs to control behavior. Raising 5 Kids With Disabilities and Remaining Sane. She is a saint. One of the on-going problems facing communities is juvenile delinquency, a form of violence. In schools, the continuing topic teachers and administrators are asked to deal with is bullying, a form of violence. Since I was attending Junior High school some 60 years ago, juvenile delinquency and bullying have been ongoing problems facing society and I am sure they have been topics of discussion for hundreds of years. Let’s face it, we are a violent society; a society that thrives on and enjoys violence and are fascinated by, intrigued by or even enamored with acts of violence. The majority of movies we watch glorifies violence. Most video games are themed around violence. Even cartoons most often use violence as the source of humor. Violence in the news gains the most viewers even to the point where broadcasters parade before us a litany of past similar events. Why is violence perpetuated from generation to generation. One answer comes from Proverbs 22:6; “Train up a child in the way he should go, And when he is old he will not depart from it.” There are many adages on the same theme we are all familiar with. “Monkey see, monkey do.” “Children are the best imitators ” The violence continues to persist because as parents we train our children to react to violence in the same manner as we do, tolerating, exampling and demonstrating violence in most of our daily lives. “What! I don’t teach my children to be violent!” – Oh, Really? Do you perpetuate the myth of Santa Claus with your children? Or the Easter Bunny? Yes? You lied to them and that could very well be the starting point of violence. Lies they are told will always remain in the recesses of our children’s minds and just may effect their conceptual understanding as they mature. How many of us have, in frustration, said to our toddler, “Pick up your toys or you can’t have…..” Yes? That is bullying. How many of us watch violence on TV? So we do accept violence as a way of life. For the most part our children will live through these parental foopahs and not resort to violence to solve their frustrations but, they will, in turn, perpetuate the same behaviors. Within our society, over half the parents still resort to spanking as punishment for misbehavior. Even in Christian circles many justify their actions by quoting the non-Biblical adage, “Spare The Rod And Spoil The Child”. The phrase is a twist on Proverbs 13:24; “Whoever spares the rod hates his son, but he who loves him is diligent to discipline him.” The rod is the symbol of authority and the discipline is a command to parents to have diligence to instruct. What the Bible is saying is that it is the duty of the parent to rightly train up the child. It is this gradual accumulation of knowledge which children pick up from a very young age which has an impact on development which forms their social skills and character. In the wake of the latest school shootings, a horrified and disgusted society is depending on respective governments to enact legislation which will curb these senseless acts of violence. President Obama hopes to develop new strategies to tighten gun laws and has asked VP Biden to head a task force on the causes of gun violence. As though it is the guns that are the cause. Perhaps some minor improvements will take place. But, until there is a positive change in the culture of society, a positive change in the way society in general nurtures our children, violence and the resulting tragedies will continue. My sincere condolences go out to the parents of the children who were killed and the families of the teachers and the families of the surviving children who were subjected to this traumatizing development at Sandy Hook Elementary School. It is impossible to make any sense of this tragedy or or any of the other school shootings that have taken place not only in the US but here in Canada as well. In response to the Connecticut elementary school shootings, many people in both the USA and Canada will call on the politicians to enact legislation that will hopefully curb this kind of meaningless homicide The debate will center on gun control and politicians will recite over and over the time worn rhetoric and talking points on both sides of the conversation. The news media will regurgitate all the past mass shootings as though that will in some fashion help in the debate and interview scores of experts giving their own mostly biased opinions. There-in lies the main problem, talk, bias and politics and the underlying motives of greed and self-importance. The conversation must include the root causes of the culture of violence that permeates within our society. Violence is the intentional use of force or power, threatened or actual, against a person, or against a group or community and can be physical, verbal or neglect and discrimination, or acts of omission, and includes obvious acts of commission by the over-use and misuse of the power of office. Violence does not necessarily need to result in injury or death, but by actions and in-actions that nonetheless pose substantial burdens on individuals, families, communities and public institutions. We can no longer ignore the fact that violence is ever increasing especially violence against women and children, the underprivileged and impoveraged. We live in a culture of violence. Violence has become by example how problems are solved and it starts at the top with our leaders, those we elected to public office. Demeaning the opposition is violence. Closed door politics is violence. Lying is a form of violence. Deceit is a form of violence. Failure to provide is a form of violence. When our elected officials resort to violence to further their own political agendas it only follows that the public perpetuate the example. Unless our politicians of every stripe can place their personal politics aside and join together to solve the the problems facing our country, nothing meaningful will be decided. Both, in the United States of America and in Canada, our governing bodies must divorce themselves of party politics and work in unison to solve, not only these acts of violence, but, the fiscal, economic, environmental, industrial, discrimination and a host of pressing matters facing our nations. It is this political attitude, attitude of violence, of bullying, of combativeness that permeates the legislatures and hence, by their example, the cultures of the people of our nations and that, consequently, helps promote the feelings that lead to unrest, hopelessness, and uncaring behaviors. Behaviors that can lead some to the more heinous forms violence. I am not saying that these acts of violence are the direct fault of politicians, but they are not helping, they are not acting as leaders. Our leaders need to lead. Our elected members need to show that they actually care about the country and bring an end to the politics of greed and self-importance, self-interest. As long as there is unemployment, they are not doing the job they were elected to do. As long as there are working poor, they are not doing the job they were elected to do. As long as there are children who are disadvantaged by education, they are not doing the job they were elected to do. As long as people are not receiving the medical assistance they require, politicians are not doing the job they were elected to do. As long as there is homelessness, they are not doing the job they were elected to do. As long as politicians give more ear to lobby groups over their constituents, they are not doing the job they were elected to do. And it all stems from greed and self importance. There is only so much resource in this country from which to do what is required. The resource belongs to the Nation as a whole and as a whole the nation must benefit fairly. If corporations must take less profit, so be it. If unions must pull back their wage and benefits so be it. If the rich need to pay more tax, then pay more tax. If the unemployed need take a less paying job – do so. The only way to security as a nation is to set aside the political bias of greed and egos and work together to reach the truth of being beneficial for all not just cater to a particular voting group. It is not a matter of reaching compromise, it is a matter of arriving at and enacting to the truth.